Errol: I am updating this from my iPad, because I’m out, and then off to a writing session, I don’t know if I’ll make it home in time for me to upload! There was a five minute window when it was public… Woops. Debbie: Hey, what iPad program did you use, Errol? 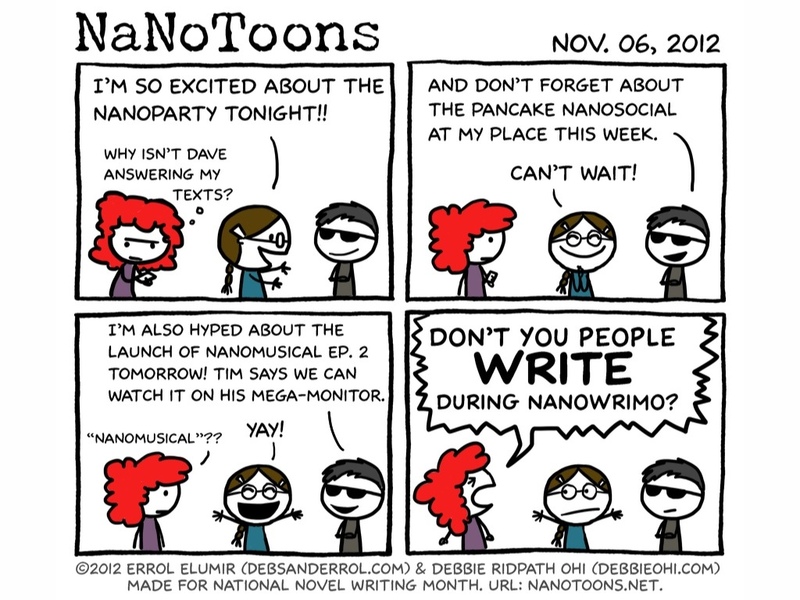 And by the way, did everyone know that Errol wrote 50,000 words in the first 24 hours of NaNoWriMo?!?? Here’s why and how he did it.